It can only be hoped that the current influx is not a one-off and birds find the woodlands of Bedfordshire suitable for over-wintering and create a mental map bringing them back in subsequent years. A re-establishment of the species as a breeding bird seems unlikely unfortunately given the recent history of this species in the county and the UK in general. Historically, the Hawfinch was more plentiful in the 19th century though it was reported in 1855 as being scarce around Luton. Records from a taxidermist in Bedford (Mr Covington) noted that it was a somewhat rare bird in the 1870’s but also recorded that upwards of 80 individuals were brought into him from gardens in Bedford after a very sharp frost. Perhaps this indicated an influx in the county at that time. Steele-Elliott also notes counts of 10 in Langford in March 1894 and over 30 there in March 1895 indicating that decent numbers of birds were present in many winters during that period. Very few further records are noted for the species until after the Second World War when it continued to be recorded at many sites though was noted as generally elusive. The situation for the last fifty years is best recognised from the atlas data captured over that period. 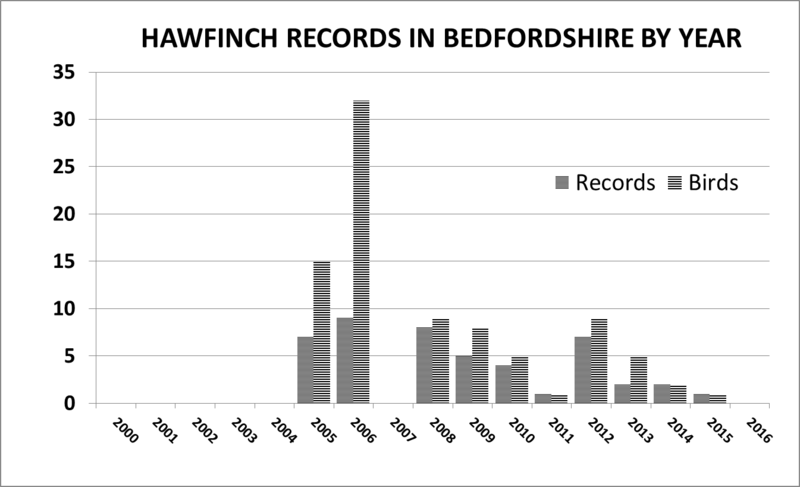 Distribution of Hawfinch in Bedfordshire and Hertfordshire as recorded in the 1967-1972 Summer Atlas. 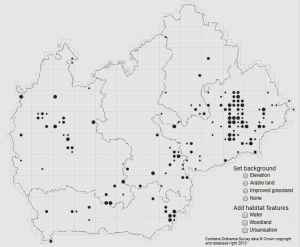 The map includes confirmed breeding in six tetrads (Bedford Park TL05K, Palmer Wood and Sheerhatch Wood, Southill Lake, Maulden Woods and Deadmansey Wood TL01I) also probable breeding in six Bedfordshire tetrads and presence in a further fourteen. 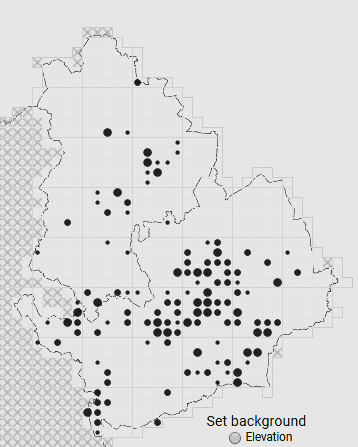 Distribution of Hawfinch in Oxfordshire, Buckinghamshire, Berkshire, Hertfordshire and Bedfordshire as recorded in the 1988-1992 Summer Atlas. This shows fewer records in Bedfordshire than the previous Atlas but still an area of population in Herts. The “probable tetrads” in Bedfordshire are Palmers Wood TL14H, Warren Wood TL03Y, Badgerdell Wood TL02Q and Luton Hoo Park TL11E. This map also shows the continued existence of a more widespread population in central Hertfordshire. 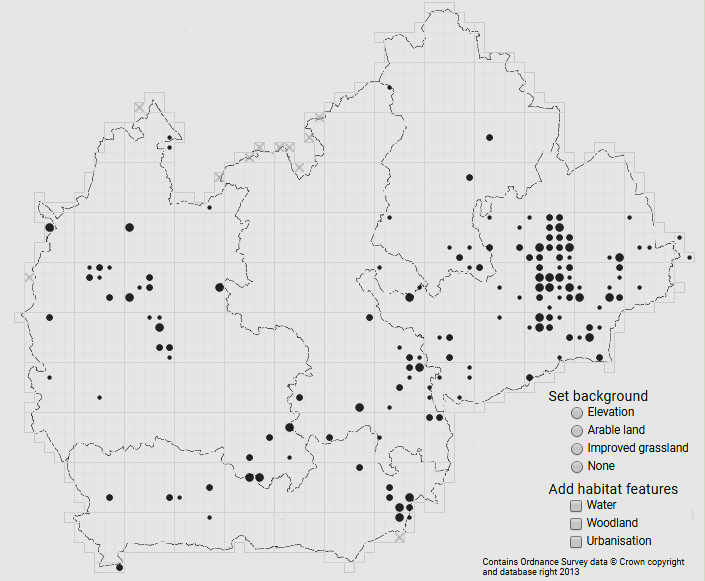 More recently, not a single Hawfinch was detected in the county during the Breeding Atlas period of 2007-2012 while only four squares hosted the species at any period during the Winter Atlas surveying for the same period. After six consecutive blank years from 1999 to 2004 inclusively, the species was considered extinct in the county. An influx in the autumn of 2005 was welcomed by birders in the county. 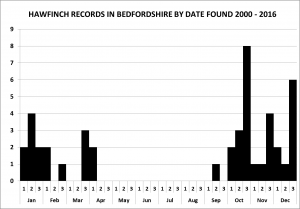 After a couple of passing birds in October, a flock was found at Wrest Park on 27th November which built up to nine before the end of the year and peaked at 20 on 1st February 2006. 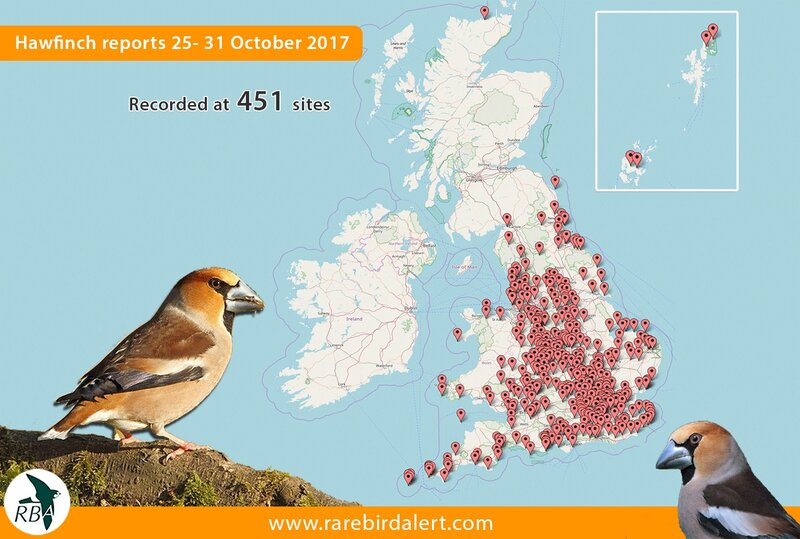 A write up of this influx (albeit with significantly smaller numbers than that of 2017) was produced in the Bird Report 2005 by Richard Bashford. The geographical spread of records through winter 2005/06 was similar to that in the BTO map below for the 2017 influx so far. 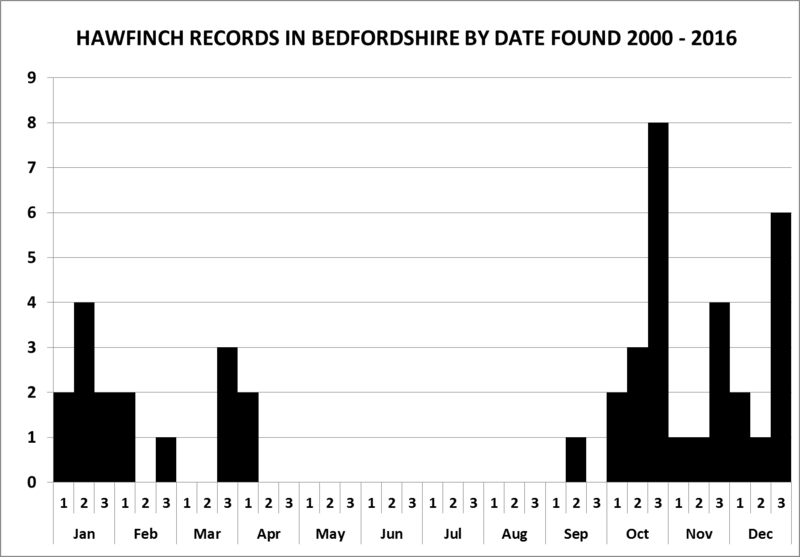 After dispersal of the birds from this influx finished in March 2006, only one was found later that year in December after which 2007 was also a blank year in the county. 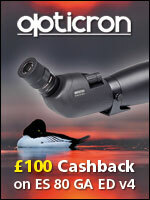 Three birds on visible migration watches in October 2008 hinted that this method of observation may prove the most productive in finding birds and Octobers of 2009, 2010 and 2012 also produced similar records. Notably despite the increased popularity of visible migration watches, there were no Hawfinches recorded on this activity in any of the years 2013 to 2016. The success of 2017 watches in documenting the influx will no doubt lead to increased expectations next year, though considerable doubt must exist that any birds will be found. A graph of occurrence over the period shows the typical rate of discovery away from the 2005/2006 influx which is running at less than three records a year on average. A second graph showing the timing of the records shows the relationships with visible migration, perhaps a peak at Christmas when more birders are around and the recent absence of any records in the breeding season. Any future graphs will maybe need to exclude 2017 records as they will swamp all other data available. These numbers put the influx of this year in perspective, almost certainly a once in generation or even once in a lifetime event !